Steward of Savings : FREE WizSmart Dog Training Pads Sample Pack! Gotta a Fur-baby a home ? 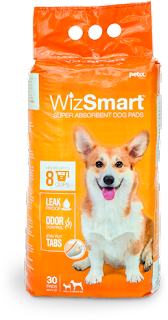 Try out these NEW FREE WizSmart Dog Training Pads Sample for a limited time when you complete FORM with your address details and expect item in 4-6 weeks!